To view the full list of Publications by the Nonlinear Dynamics group click here. Springe, New York (1999) 448 pages. 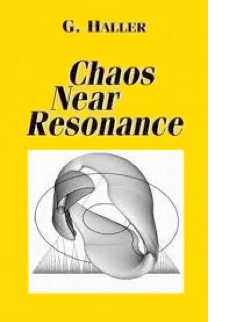 "An extensive bibliography and the many examples make this clearly-written book an excellent introduction to these techniques for identifying chaos in perturbations of systems with resonance." "Haller makes a point of wanting to see dynamical systems theory fulfil "its long-standing promise to solve real-life problems". His book, through a wealth of detailed examples, delivers on this promise, and is certain to become a standard text in this area. In particular, it is an excellent introduction to this research area, and contains a wealth of bibliographical and historical detail. The Maxey -- Riley equation: Existence, uniqueness and regularity of solutions.